Not too sure about where to start, but let me share you a thing or two about the secrets to my soft shiny hair since we are all dying to know solutions on how to get smoother, softer, silkier hair. 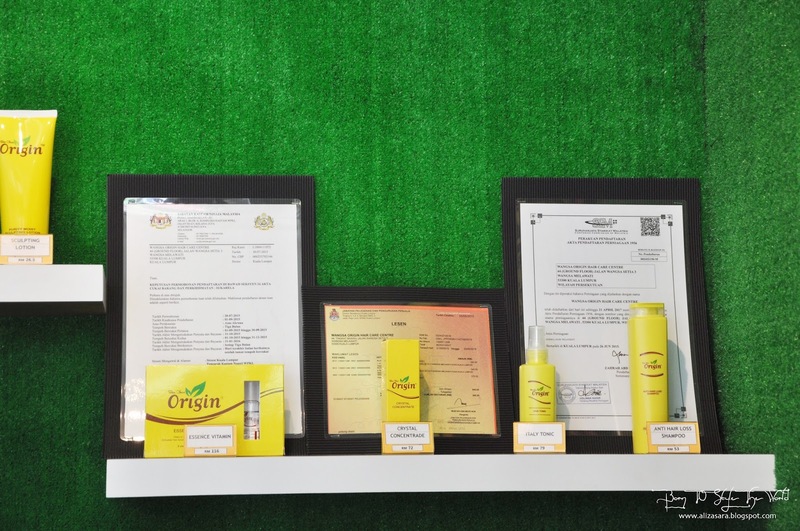 Recently i was invited for a review session to Wangsa Origin Herbal Hair Care Centre, in Wangsa Melawati, and i'll be sharing to you what this Hair Care Centre is all about. From what services they offer to whether if it works. Read on fellow readers! 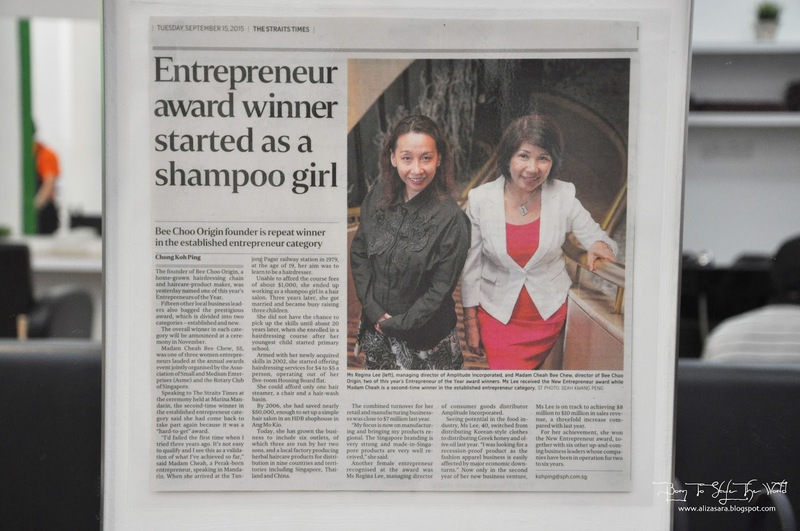 An introduction to Origin Herbal Hair Care Centre, founded by Madam Cheah Bee Chew in 2000, who adopted an ancient formula of using 100% natural pure Chinese herbs in producing Herbal Paste Product. 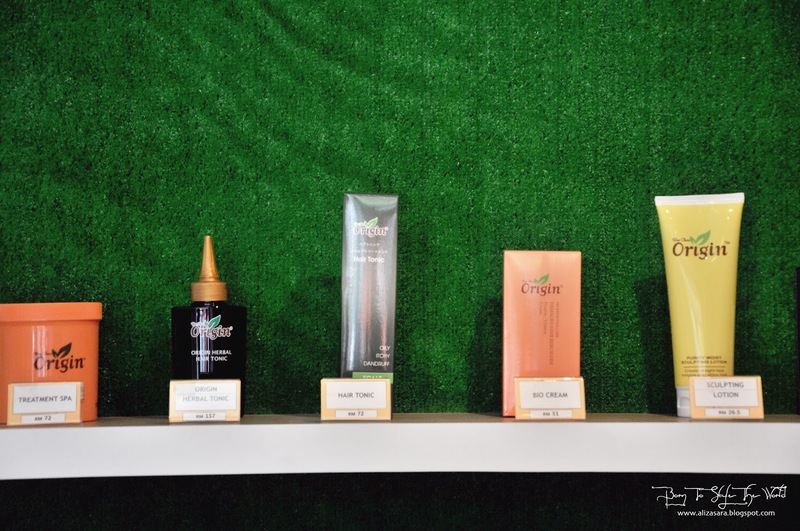 Currently with 50 franchises throughout southeast asia and still growing, its safe to say that they are doing pretty well by providing hair care services with their secret herbal ingredient. With special herbs and formula handed down from ancestors, it has been proven that problems like hair loss as well as dandruff can be solved without any chemicals or preservatives. 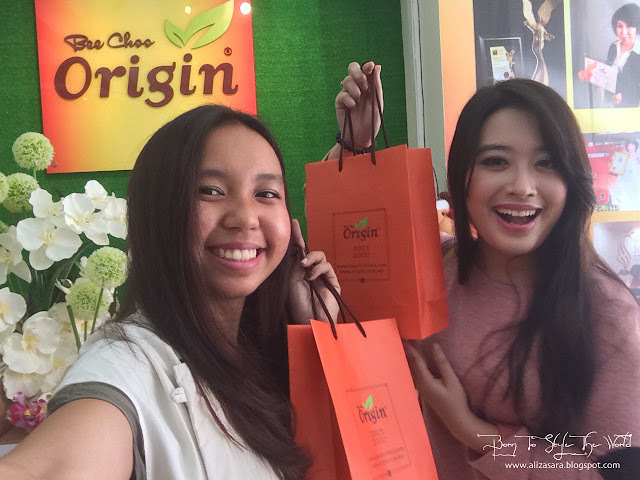 Other than that, i was told that the company's unique herbal hair treatment are processed on a daily basis to ensure their freshness and effectiveness. First up, before the treatment started, i was introduced with their latest microscopic scalp analysis device, to monitor the customers treatment process. Based on my analysis, hair advisor mentioned that my hair looks good, with slightly blocked pores + oily scalp. 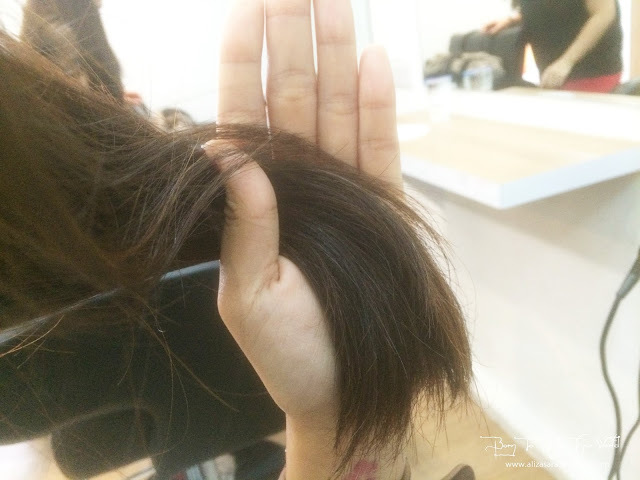 And she also mentioned that its always great to sustain the condition of the hair before its too late. I got myself comfortable and sat on their chair, with the mirror facing me. As a start, they applied ginger wine to my scalp which i was told that it open ups and clean my pores around the scalp. Each time they sprayed the ginger wine, they gave a slight scrub around the scalp to just get the solution to do its magic. Once thats done, they used the highlight cream called the Herbal Cream which contains 10 different herbs to improve blood circulation, unblock pores, recondition the scalp and basically activating hair follicles to make sure your hair regrows in a healthier condition. woot! 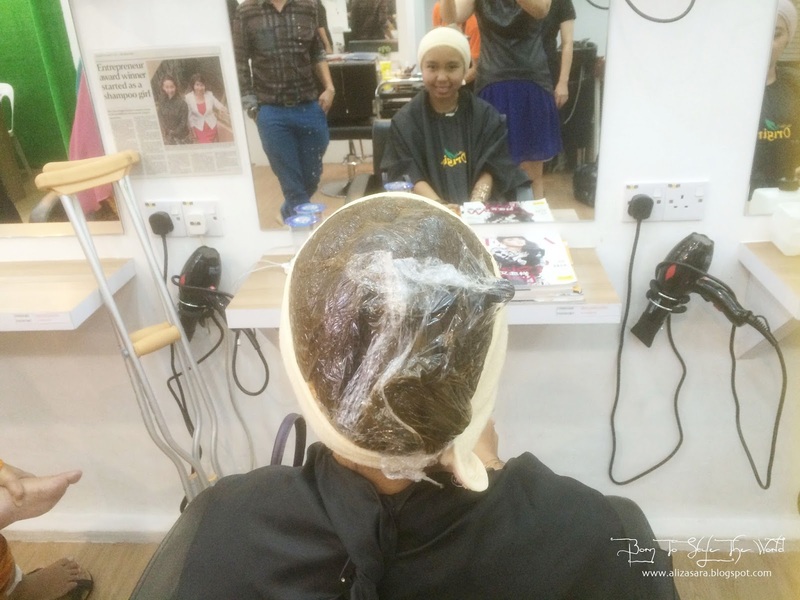 When they have completed the application of the cream around my scalp with the herbal cream, they wrapped it with crystal wrap and left it to steam for about 45 minutes. After washing my hair, my hair really felt smoother. 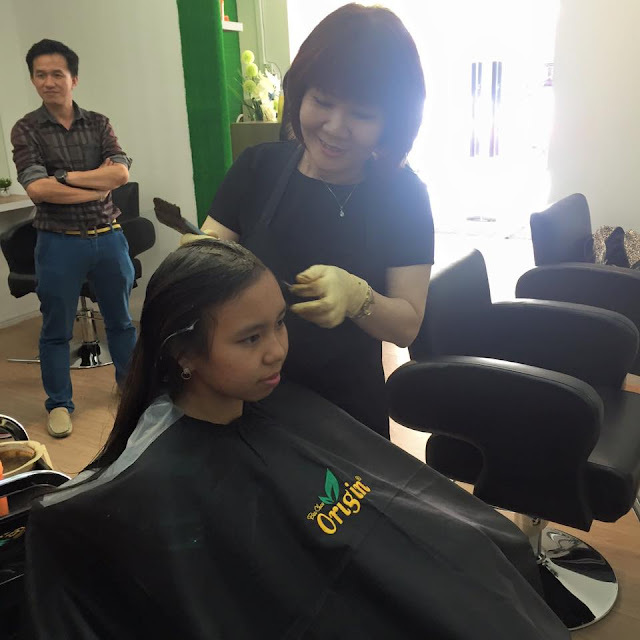 After 45 minutes, they washed the herbal cream off with shampoo and conditioner from orgin, followed by a blow dry. Once my hair was dried, they applied a tonic solution specially designed to improve hair growth. I was told that they have another different tonic solutions for different scalp condition, to solve dandruff issues too! Zzeti Rashid's hair looks amazing too! 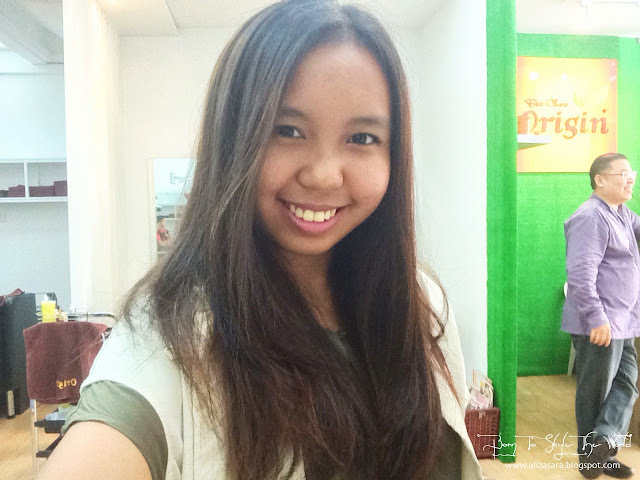 As expected, smoother softer hair! My hair had a slight faded shade from my last colour, but after the herbal treatment, i realised that it left a slight natural stain to my hair making it look darker. So, i wouldnt really suggest to go for the treatment if you have pastel bleached hair, but if you have grey hair, well good news! It will ensure that your hair regrows with a brownish shade which will wow friends and family members for sure! 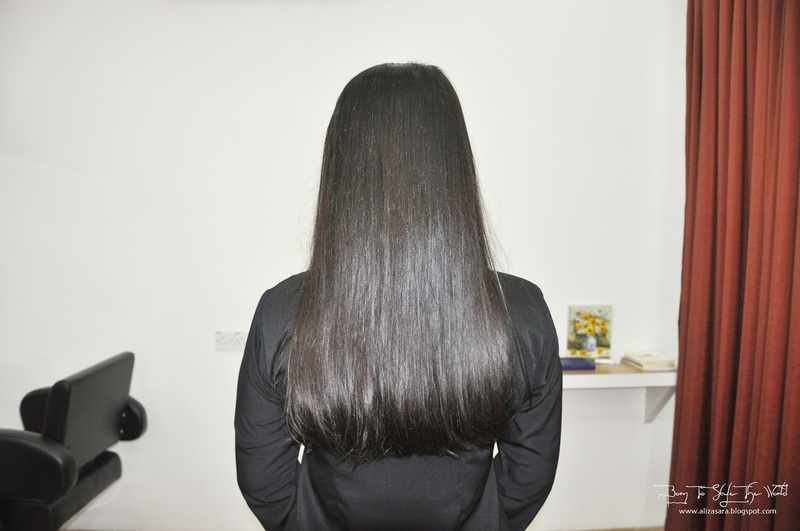 The treatment is RM145 for long hair like mine and Zzeti Rashid, and it would definitely not cost you more than that if you have shorter hair. I also got myself some shampoo and conditioner with their toner to bring back since i love them so much. Hehe. Products are also available for purchase if you're a little tight when it comes to your schedule. I would highly recommend you to try their tonic, because its THAT good. When they applied the tonic to my hair, it left a cooling sensation which i found it rather relaxing. 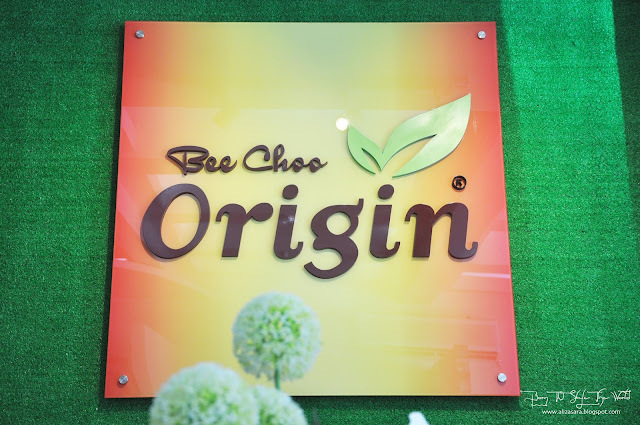 I believe that the company has always been their best to provide only the best for their loyal customers. 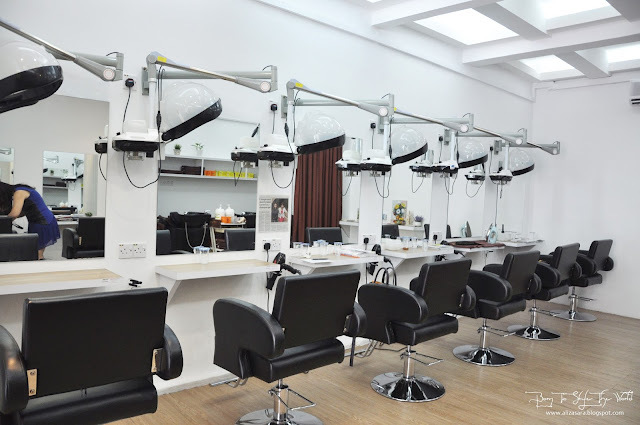 With up-to-date technology and through constant research, its no wonder that they specialise in hair care in depth. Not too sure if im missing out on anything else, but if i am, please do leave a comment below, and i would love to get back to your question. hehe. Do visit Origin Herbal's official website or Origin Herbal Hair Care Centre's Facebook Page. Or if you want to get a little specific, this outlet that i went to was in Wangsa Melawati, do check out their Facebook Page as well. 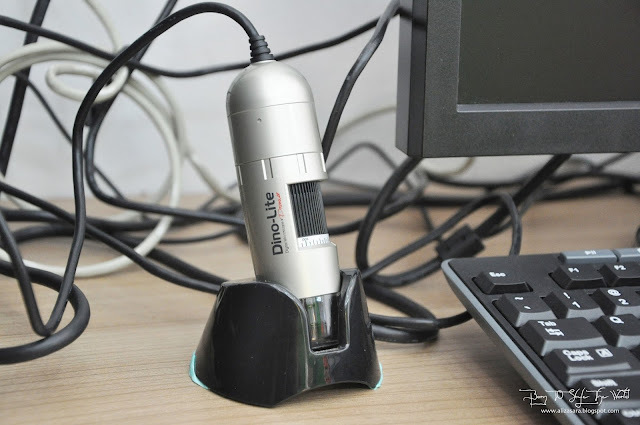 If youre seeking to hide your hair loss within just 30 seconds, you would have to check this out! TOPPIK - Hide Your Hair Loss In Just 30 Seconds! 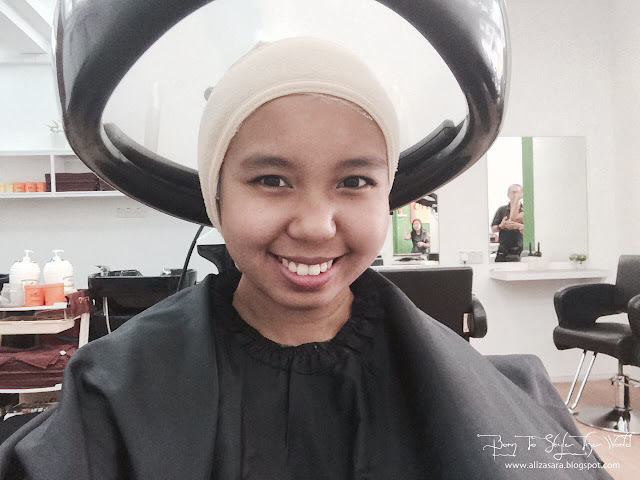 Hair loss take time to progress, however the sad truth is that so did hair growth! Therefore ,TOPPIK is here for you to make you look great daily until your hair loss reversal is complete! 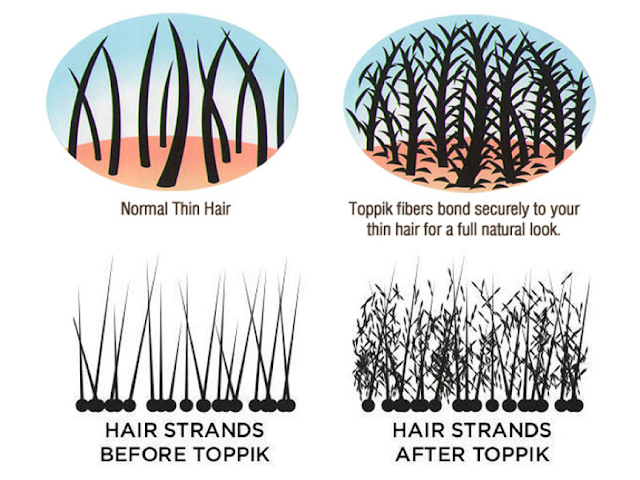 In just seconds, Toppik Hair Building Fibers can create a full , thick looking hair on your head ! By incorporating unique micro-fibers which made out of real human hair’s protein, its electrostatic charge is able to bond with your existing hair and create a full looking hair instantly! Why Toppik Hair Building Fibres Is So Effective? As mentioned before hand, Toppik Fibers are made of pure, organic keratin protein which is structural similar to human hair. This keratin protein cause no harm to our hair and skin as it has no additional chemicals and additives. It won’t cause pores to clog which in turn will jeopardize hair growth ,so it is the best compliment product ever for you to cover up your hair loss appearance while doing hair treatment . Besides, Toppik Hair Building Fibers are structurally stable and it resist wind, rain,and perspiration . It cause no stain on your shirt and can be easily washed away by shampoo during shower. With as little as 30 seconds , toppik did a good job by cover up your baldness instantly and can last for long period of time. Acupuncture is based on maintaining proper flow of energy through the body. Today, acupuncture Mississauga is an effective, natural and increasingly popular form of health care that is used by people whole over the world. Shop online at Wigs Toronto online store for Hair Extensions store for all of your personal hair and beauty needs. We carry all types of hair extensions in human hair and synthetic styles anywhere from clip in, sew in and tape in styled hair extensions. 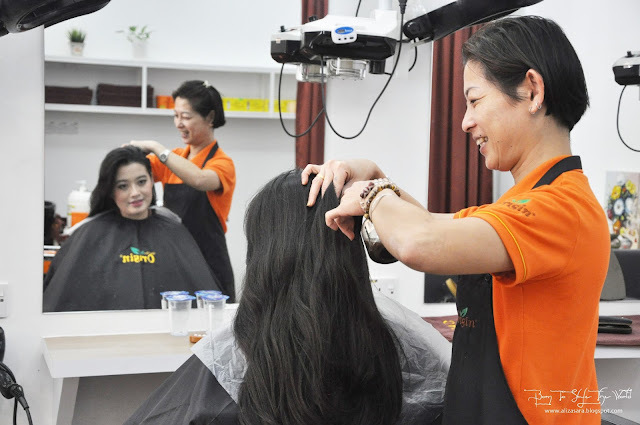 I have into the 8th session in Bee Choo, I found my hair fall issue improves. Lesser dropping I am gonna definitely sign up for another treatment package after I am done with the current one. Hi Jenny, does it help for hair loss ? The overwhelming majority of women suffer from what is known as Androgenic hair loss; this is caused by hormones. Depending on the conditioner, you may want to leave the conditioner in your hair for a few minutes to give your hair added moisture. Today, it is no surprise to perceive the entire thing labeled in spot of regular or herbal. 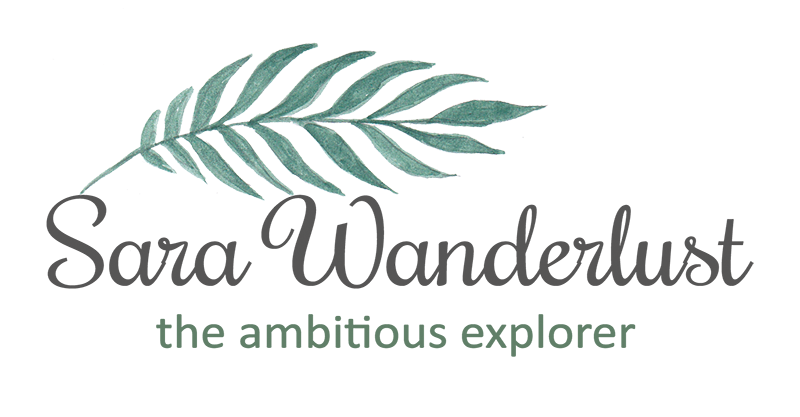 In just approximately a few store you go in, all you observe are millions of all herbal or all normal products as well as dietary supplements and herbal medication products. Natural Hair fall treatment is better than opting for unwarranted medication. Herbal products, such as green tea, coconut oil, castor oil, henna and fenugreek, prove to be worthy treatments for hair fall. How for the price? Do you have special price for any package?